^ Cicero, Marcus Tullius (1951). Gould, H.E. ; Whiteley, J.L. (eds.). 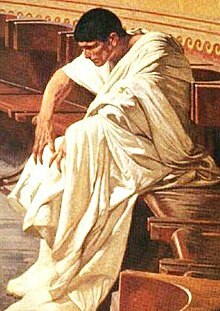 Cicero : first and second speeches against Catiline. London: Macmillan.